This is what Ruth sent me. 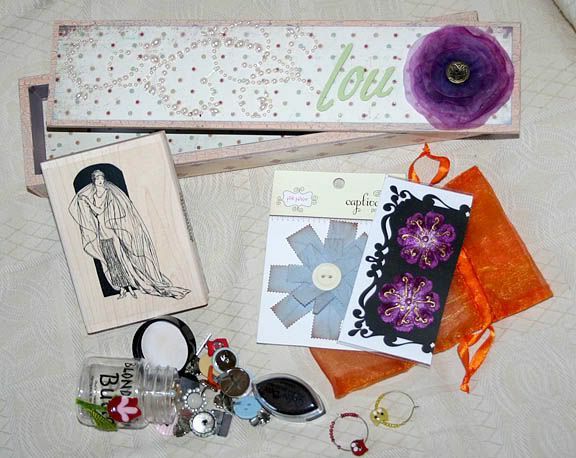 A gorgeous hand decorated box, fabby stamp, inkpad, brads and blossoms. Thanks, Ruth. It's all lovely. Re: My S.S. from Ruth. love that box and the stamp is def your style , great choices ruth . aww that box looks super. Loving the purple flower especially, lovely lot of things there.